We meet Eric Musgrave, renowned menswear and fashion retail commentator, former Editorial Director for Drapers magazine, the bible of the fashion industry, and currently the Editor of the award-winning members’ magazine for bira (British Independent Retailers Association). Eric is a thought-leader with nearly 40 years of industry experience, so who better to ask about current retail trends and where the sector might be heading…. Eric, what do you think has been the biggest change in retail and shopping habits over the last few years? Over the past ten years the UK has been in a state of so-called austerity, which we can call an economic malaise and this macroeconomic factor cannot be overlooked. Retail sales are continuing to grow online but the rate of growth is slowing and has to hit a plateau at some point. I don’t think it’s very far away. Depending on the category, online sales account for only 15%-30% of all shopping – so 70%-85% of sales still go through shops - and it is difficult to measure precisely what benefit actual shops bring to online sellers. Many larger companies, such as Next, are good successful online sellers of clothes because they still run hundreds of stores nationwide. There are very few “pure play” e-tailers who sell only their own products. Even a huge online operation like Asos sells lots of brands that can be seen, examined, tried on and generally promoted in physical stores. Most independent retailers, I strongly believe, should not bother trying to sell their products online. But they should have an excellent and effective online presence, with an up-to-date website for marketing, plus an active, relevant social media strategy to communicate with potential customers and attract them in to the shop. Shoppers and retailers alike are worried that high streets can’t be revived easily. What’s your view on that? There has been a big change recently in the importance of social media with the rise of bloggers, influencers and networks being built up digitally. I would say don’t panic, we’ve had recessions, world wars, three-day weeks - this industry is very resilient and good people will find that although this ‘peak and trough’ situation with retail has been going on for a long time, there is hope. It is true that as a nation with a finite population the UK is are over-shopped dramatically, so not everyone can succeed but plenty have and will continue to. The big problem is the lack of footfall on the high street and this is mainly to do with the economic malaise I mentioned rather than other factors such as parking or rates. It will improve when the economic conditions improve. Do you think there’s a sector of retail that will take off in the next few years and what sector do you think might need some help? Every sector needs help and every one can do well. Look at the whole British retail business, there are casualties in the discount sector, which was supposedly the place to be a few years ago. There are casualties in the middle sector, such as Woolworths and House of Fraser. And then you have high-end names like Victoria Beckham that has been losing millions of pounds. As we’ve seen with the Local Data Company (LDC) reports, there are always shops opening and closing. Some sectors are feeling the pressure more than others, notably womenswear, menswear and accessories. There is always room, however, for good ideas and adequately-financed businesses. An area that seems to be doing well are concept lifestyle stores, which sell clothes, books, something for the home, gifts and have a café. In short, a contemporary mini department store. 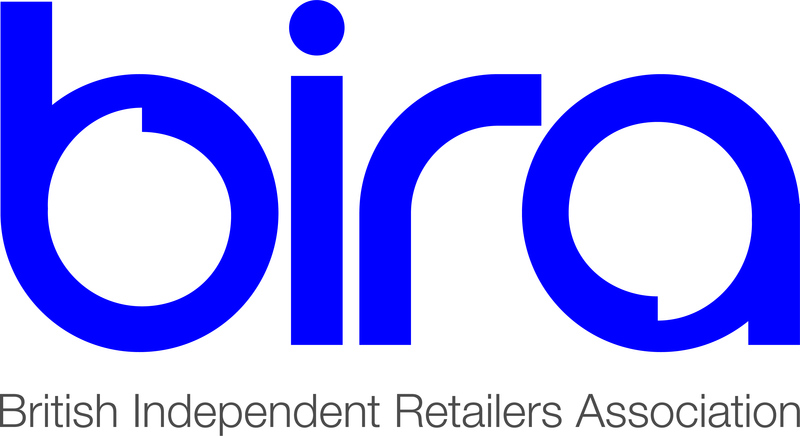 Who do you admire in the retail industry and why? I don’t shop there personally but I would say Primark. They’ve gone from a cheap-and-cheerful operator to one of the most efficient and bestselling retailers with beautifully presented stores, which are often in brilliantly restored old buildings. I know that a lot of people will say that the fast turnover and high volume of goods is not great for the planet, but the reality is that that could have been argued 40 years ago. Is anyone listening? One could argue, why buy books when you could go to the library? Many people just want to buy new affordable clothing regularly. Another retailer I admire is Ted Baker. Again, I don’t shop there but they continue to pull off the old-school model of wholesaling to third parties like independents and department stores, while running its own high street shops and transactional website. It’s also got a distinctive brand handwriting for its products that sets it apart when a lot of companies’ ranges look the same. Harrods is another retailer that I have time for. It’s a fantastic concept - one unique, megastore. Apart from its few uninteresting airport shops, Harrods is set apart from the rest as it is literally one of its kind. What independent retailers can learn from a big operator like these three retailers is how to shape a good concept and execute it well. In Harrods, it’s a great experience every time you walk through the door and they’ve been trading for almost 170 years. Although the Harrods Sale is rightly renowned, regular, almost endless, discounting by companies is a downward spiral and retail suicide. I think that’s why many companies are pulling back from the nonsense of Black Friday. A retailer that I do shop in is Drake’s. It’s an upmarket menswear specialist in London and produces great quality clothing, a lot of which is made in the UK. I’ve bought from them them for years. It’s not cheap but it’s worth it. I learned long ago that, when shopping, you tend to you get what you pay for. You have said of retail ‘nobody has a divine right to succeed in business….you have to do all the right things’. What are those things? Firstly, the reason most businesses fail - and by this I mean independents - is that they run out of money. So don’t underestimate how much money is needed. If you received £15k from a redundancy, it’s not nearly enough to open a shop because it won’t last very long. To be safe you’ll need thousands and thousands to be properly funded. Secondly, get some advice. If you’ve never opened a shop or worked in a shop before then find some experience. Work for someone else for a while - an independent, another company that’s successful. This definitely would be time well spent. Thirdly, control those costs. Work out a business plan. In retail, costs are fixed - your rent, business rates, staff, insurance, credit card reader and so on, but income isn’t, so definitely err on the side of caution. Then work out what your store’s concept is. Often new retailers open a shop that they would like to shop in themselves. This could be too narrow a vision. You need to be sure that the high street is not flooded with the same type of store. You have to be willing to fine tune your offering depending on customer demand. For example, you may need to extend or reduce your products. An independent retailer I interviewed for bira magazine recently had the concept of making her cookware store a simple space, like an art gallery. Very soon she realised that more products were needed on the shelves because customers who came in and couldn’t find what they wanted immediately turned around and walked straight out. Find your USP. You could be a hardware store that’s sells everything or a specialist in a narrow niche, but be sure that in your plan you are clear from the start what you are trying to do, and why, with your retail concept. Finally, it goes without saying really that Location, Location, Location is key. Make sure it’s easy to find and that footfall is good, unless you’re going all out to promote it as a destination off the beaten track, in which case, make sure you’ve got lots of free parking and a very active marketing campaign. How could retailers use platforms such as Down Your High Street (DYHS)? Do you think a collective online presence is more powerful than individual efforts? It makes sense to link with initiatives such as Down Your High Street as well as promoting yourself. There’s a lot of talk at the moment about supporting local shops - VISA is running a TV ad campaign, saying just that, to coincide with Christmas. I think networking is vital, as is going on training courses to learn new things or refresh your memory or some basics. I know this is easier said than done as retailers are so busy. I know some stores with 30,000 products and no Epos system, that's busy. If it’s possible, however, to take some time out to get new ideas about visual merchandising or better product buying, then it will be worth it. If you had advice for someone wanting to go into retail at this time, what three pieces of advice would you give them? If you’re really confident, then give it a try. Look at the fashion brand Superdry, which started from a market stall in Gloucestershire and now has stores all over the world. Despite all the so-called gloom, retail can be a way of making a very nice living, if done right. Make sure you do a good amount of planning and then one of the biggest recommendations would be to talk to retail associations, and see what the bank can offer, not in terms of money necessarily, but for advice and courses. Retailers, particularly independents, often say that it’s online shopping, high rates and lack of good parking that’s stifling their businesses. You’ve said the biggest problem has been economic malaise. What would you advise independents to do aside from campaigning for better rates, parking and so on to thrive in this time? They must make themselves stand out in a positive way. If you are opening a clothes shop, don’t fill it with brands that are available in hundreds of other retailers too. If you’re not careful, you’ll just end up discounting all the time to match other stores doing the same thing. Also, speak to associations like bira as you’ll get expert support you need from people who understand the business you’re in.